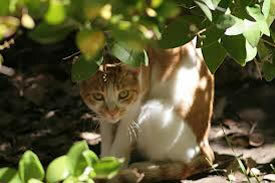 It is so important to keep your cats in at night, if you don’t its so hard to pinpoint if anything happens to them. The first 24-48 hours that a cat goes missing, it will generally stay around the immediate area for that time if the reason it has gone is through being chased, scared or hurt. They may stay under a shed, a hedge or somewhere else dark and to them, safety. This is when it is so important to act fast. Keep pilchards in your pantry at home, the first thing you should do is whack a bowl of them in the microwave, heat them up so they are super smelly and put them in your garden, call your cat and then wait, if they are near this could help to stabilise their bearings and hopefully come back.